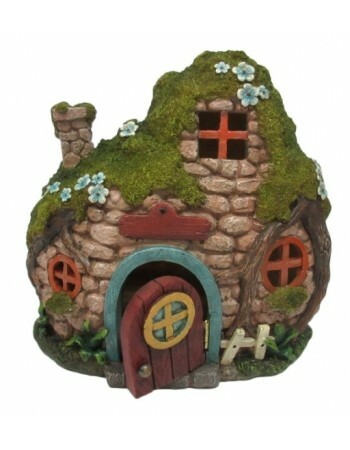 Invite the fairies into your home or garden with this finely detailed Fairy Village pieces. 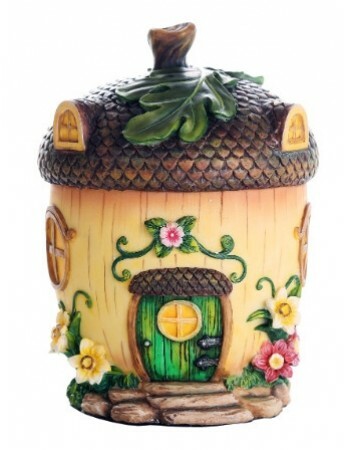 Create your own enchanted garden indoors or out* with these finely detailed fairy homes and accessories. Lovely in a planter or terrarium, these tiny structures and accessories are a bit of magic for you. Fairy gardens are a miniaturized garden you build with creativity, imagination and a belief in fairies. Creating your own fairy garden is easy. The space can be as large as your current garden, or as mini as a flower pot. Work within the space and decorate the landscape with existing natural materials. Mini plants, tree branches, mossy patches, pebbles all work great. When the layout is finished simply add the fairy garden's inhabitants. Check out Enchanted Story's collection of sleeping fairy babies, fairy houses, forest critters, little dragons and many more. They all love to hang out at your newly created fairy garden. *If displayed outside, be sure to keep in a sheltered spot and out of extreme temperatures such as freezing to prolong the life of your fairy village.